Whether you are a decorator or a professional painter, you want your work to be as perfect as possible. Using conventional methods such as rollers and paintbrushes may not leave the smooth finish you want. Nobody wants to have uneven paint and brush strokes on the wall of the room. Paint sprayers can be ideal for such situations. They are useful for painting large areas quickly. These painting devices come in different power ranges, types and sizes. 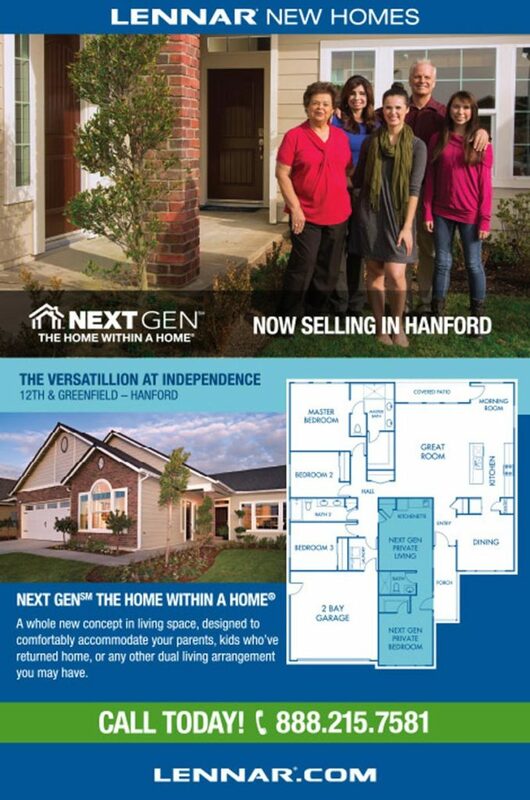 The following are some of the reasons why they are popular. Paint using paint sprayers is faster than using a roller or paintbrush. The tiny particles of paint emitted from the sprayer ensure quick and complete coverage in every corner and nook of a piece of furniture or wall. Paint rollers cannot access edges of walls or small spaces easily due to their shape. Besides, if you try to force the roller in, you are likely to up with scratches on the surface or splotches of wet paint. You can, however, eliminate this problem by using a paint sprayer. It is designed to spray a fine mist to get to the hard-to-reach spots. Paint rollers do not always offer smooth finish ends. 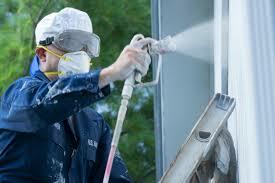 A spray gun, however, does since the paint particles form a mist, covering all the surfaces it touches. This aspect of paint sprayers makes it attractive for spraying stains or paints on furniture, window frames and stairs. You still, however, need to pay attention to your work. Spraying a wall may cause an uneven finish if there is too much overlap. The higher the sheen the paint has, the more likely the buildups will show. Remember to cover the windows, floor and all you trim that you do not want to be sprayed. Ensure also that you clean the paint sprayer out completely for the best results. Whether you’re an amateur or a professional, anybody can use a paint sprayer because they are simple to operate. You just need to attach the paint to the sprayer, and you are ready to go. Using rollers and brushes involves a lot more preparation. They also create much more work which puts a lot of strain on the body. Painting a whole room using a roller can make your back and arms ache. Paint spray devices are available in various sizes for use by contractors, professional painters or homeowners. The two most common types are the air and airless models. Air paint sprayers use air compression to eject out the paint. 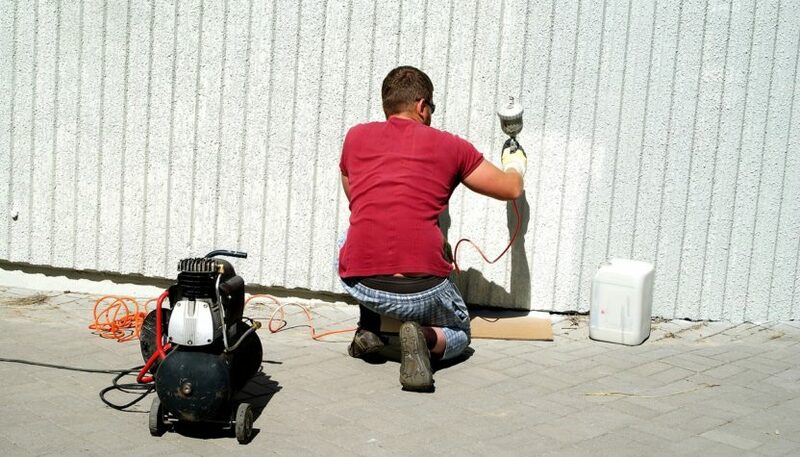 Airless paint sprayers on the other hand use pressure to push out the paint. 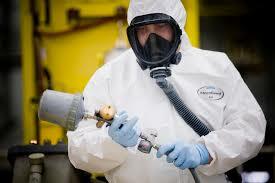 Air paint sprayers are more costly and provide more even coatings of paint as compared with the airless model.